Happy Friday, everyone! This week was definitely better that the last few weeks, but I’d be lying if I didn’t say I had a few “hurry up, Match Day” moments. I am so excited to spend this weekend with Chris. We’ve been so busy lately that it will be great to slow down a bit and make time for each other. Residency update: Remember when I told y’all last week that Chris is done with interviews? Ha, the joke was on me. Chris got an e-mail this week from a program that interviews late…and we just couldn’t pass it up. If I could put the name on here, y’all would understand, too. Now we are scrambling to get him flights, a hotel, and a rental car for next week. (PS-Last-minute prices are no fun.) This has really thrown us a curveball because it feels like we are going backwards. Prior to the interview request, we were focused on our rank list. Now we have to wait and see where this new program fits. March 20, hurry up please! Remember when I couldn’t stop talking about getting the Sporto Molly Boots? Well, my other boots are starting to get neglected because I can’t stop wearing them! I have both the brown and black boots, but I definitely pull out the black ones more often. They are warm, comfortable, and great when it’s raining. I honestly can’t say enough good things about these. I might even have to do an outfit post just to show them to y’all. I took this sweet photo of my pup this week, and I just had to share. Isn’t she adorable? I haven’t purchased anything for myself all month! I am really good at convincing myself I really need an item, but we are currently trying to save up for a trip, so I am trying to focus on saving. It's tough when half the Google ads geared towards me are of dresses! I seriously can’t stop listening to Ed Sheeran’s “Thinking Out Loud.” It’s beginning to become a problem. This week I decided I seriously needed to branch out and hopped on Pandora for the first time in a long time. The “Thinking Out Loud” station is perfection. All my favorite songs, new and old. I have never clicked “like” so many songs in a row. As excited as I have been over my last few PopSugar boxes, the January 2015 PopSugar Must Have Box wasn’t my favorite. That being said, it still had some fun items focused on starting your year off right. Jack+Lucy Pom Pom Hat ($32): I’m not a big hat person, but this is cute for when it actually gets cold here. I think I would be much more excited about this if it wasn’t 75 degrees outside right now. I think it’s fair to say I am a little grumpy we haven’t had much of a winter here this year. KeepCup Brew 12oz ($26): This is another item I think is cute, but I wouldn’t use often. Sadly, I barely drink coffee because it makes me sick. When I am desperate at work and do drink it, I never bring it from home. I do think it is a nice design, and I like how it was made to fit both Keurigs and other coffee makers. First Aid Beauty Ultra Repair Cream ($28): This is by far my favorite item in this box. My skin gets so dry in the winter, and I have tried so many different creams to hydrate it. This cream is fantastic! I love that it isn’t heavy, and it hydrated my skin almost immediately. I also didn’t feel like I had to constantly reapply it. Skin Jewel Tattoos (Empire) ($18): I think these are pretty, but I wouldn’t use them. Nature Valley Protein Granola ($3.49): I already passed this on to Chris. He loves granola cereal, and I could take it or leave it. Manduka eQua Hand Towel ($16): I don’t do yoga, but this looks like a nice towel in general. I love the color! ToGoSpa Eyes Collagen Gel Pads ($12.50): I haven’t tried these yet, but I am excited about them! I love products that help with puffy eyes so I am hoping these will work well. All together I came up with a total of $135.99 for this box. I think I didn’t like this one as much because the items were more practical than fun, but the First Aid Beauty Ultra Repair Cream definitely made the box worth it for me. What do you think of the January 2015 PopSugar Must Have Box? What is your favorite item? 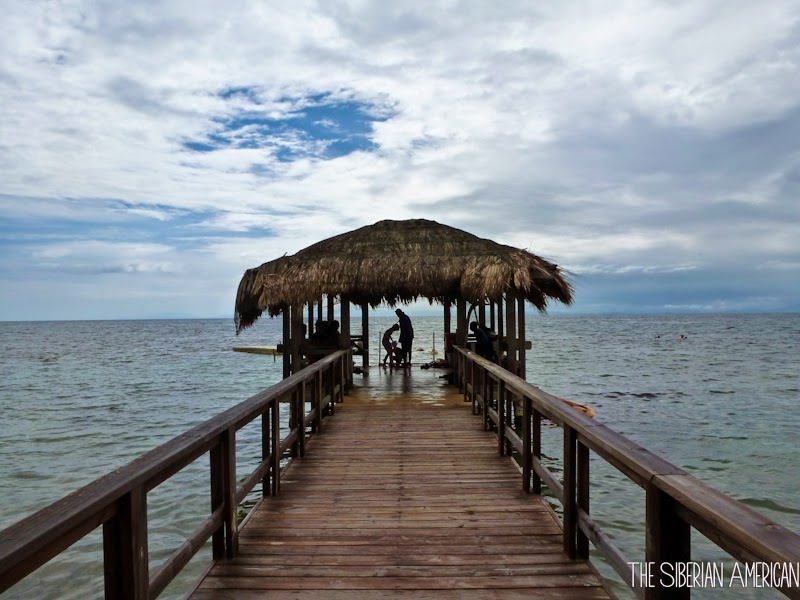 To me, travel is all about experiencing moments I will remember for the rest of my life. Sometimes, that means taking risks and doing things completely out of my comfort zone. 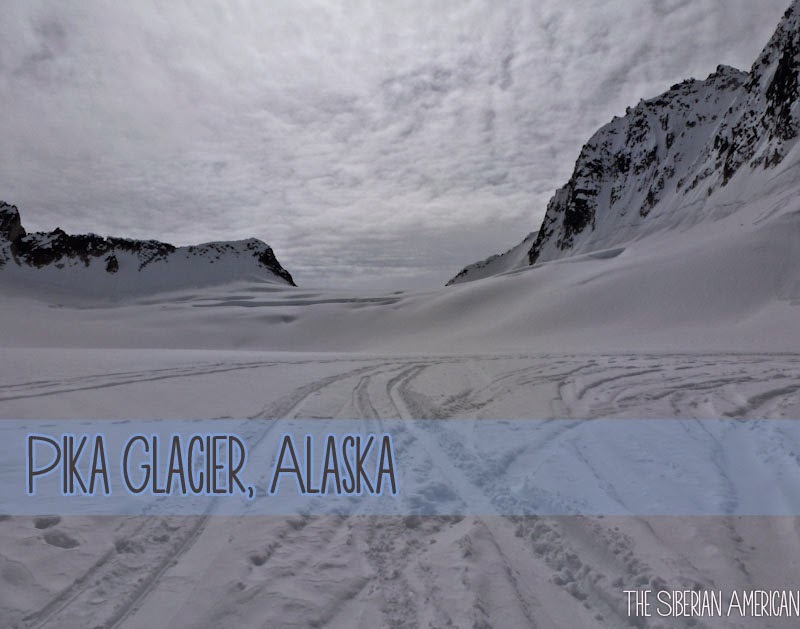 During our last trip to Alaska, my in-laws suggested we do a glacier landing in Talkeetna, Alaska. My nerves kicked in immediately. As much as I love traveling, I hate flying. I start worrying about it months in advance, and getting on the plane always feels like a huge accomplishment. 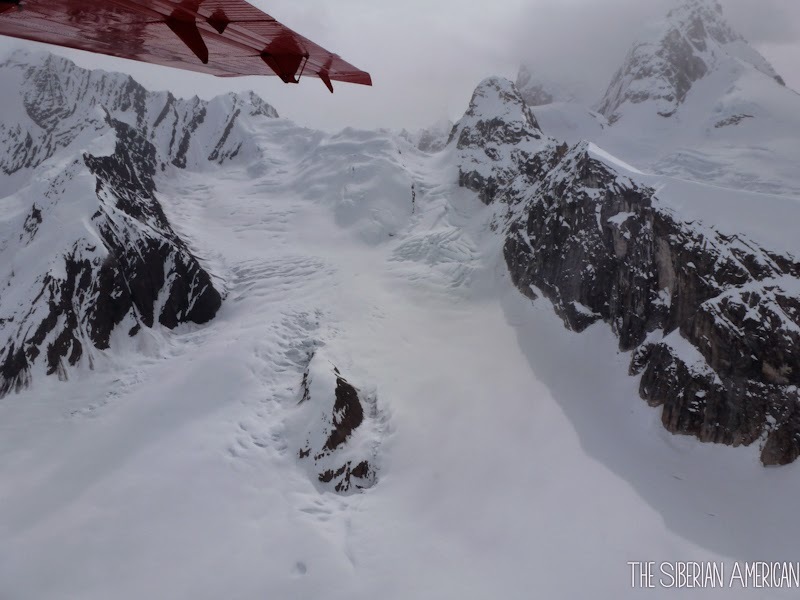 I especially hate take off and landing, so the idea of landing on a glacier in a small plane was as comforting as jumping into a tank full of hungry sharks. 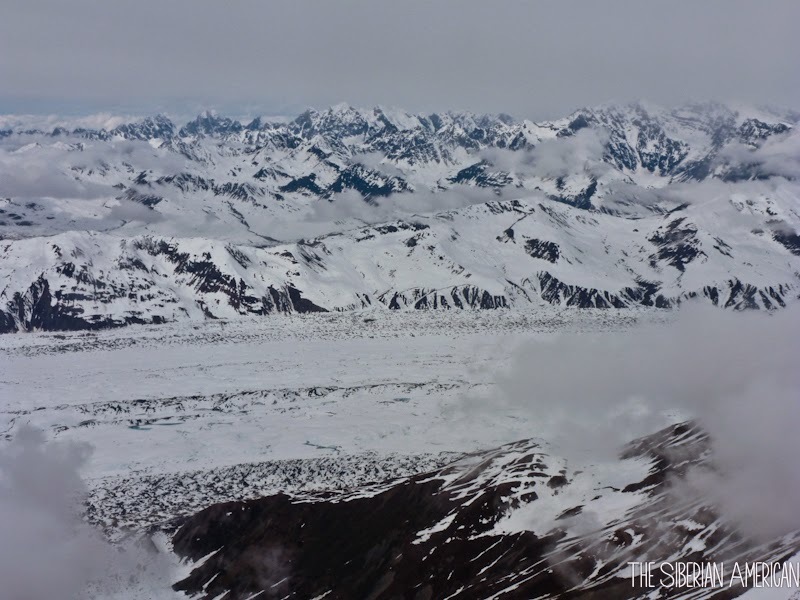 On the day of our glacier landing, I still didn’t know if I was going to do it. 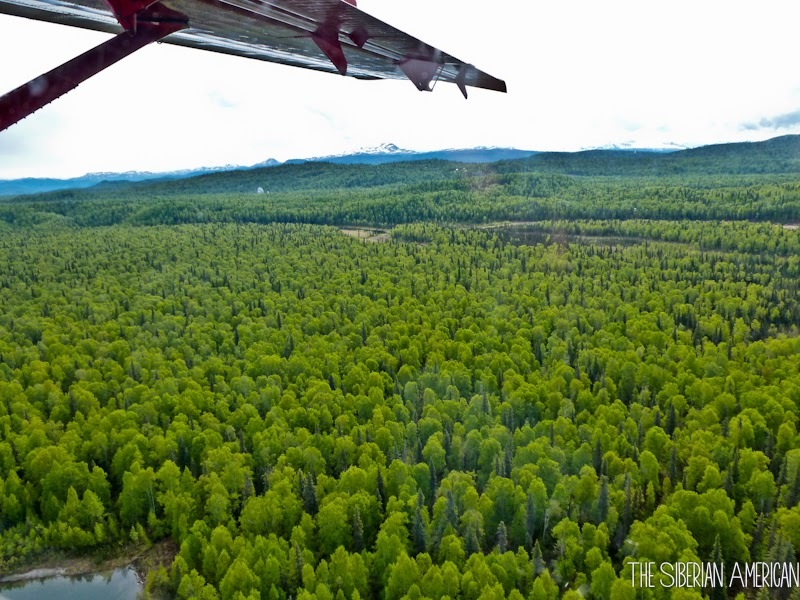 I was so nervous that I couldn’t concentrate on the gorgeous scenery on the way from Anchorage to Talkeetna (thankfully, I got to see it on the way back). 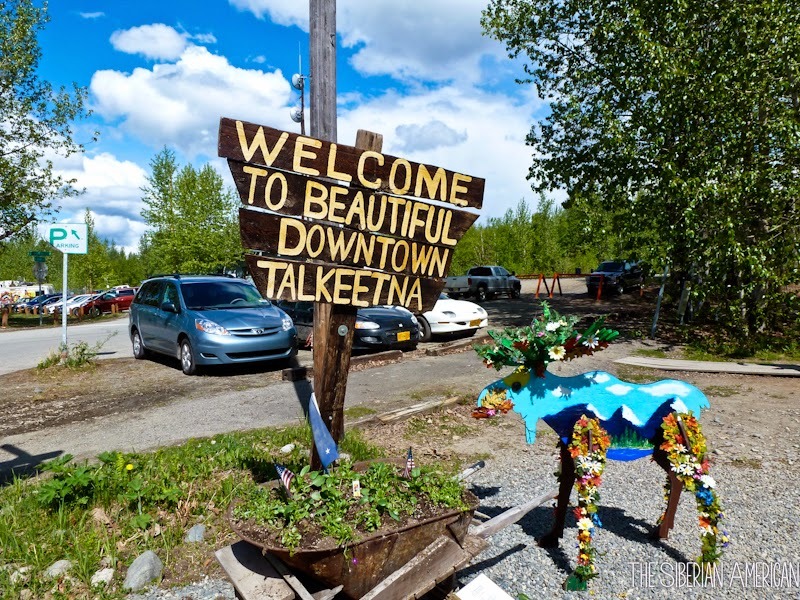 As we went through the safety briefing with Talkeetna Air Taxi, I started to feel a little better. 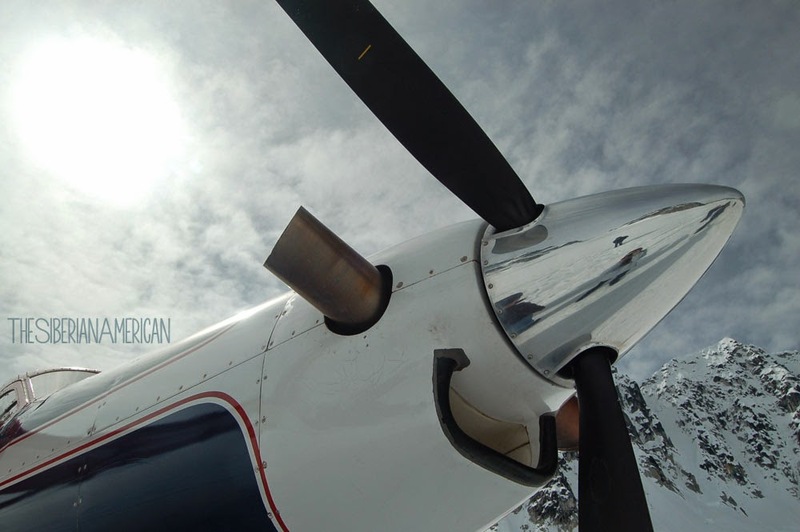 Our pilot had flown with the company for over 30 years, and the company knows the weather in the area and doesn’t hesitate to cancel flights if it is too dangerous to fly. 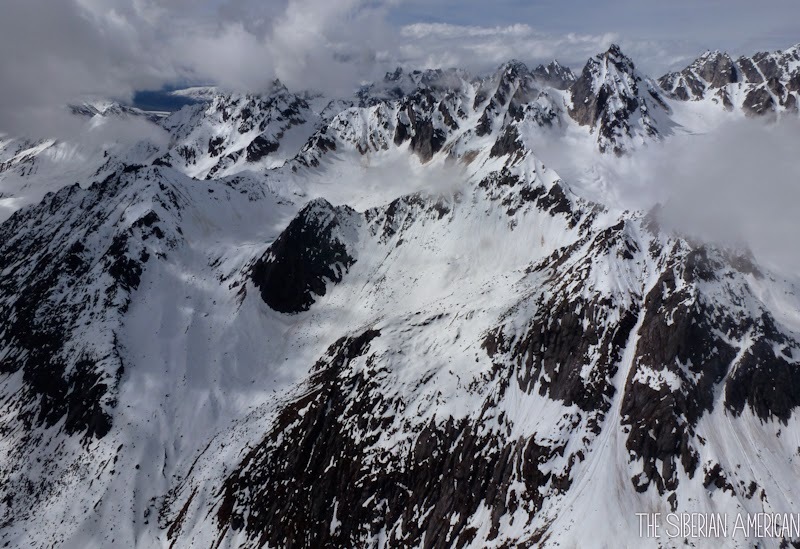 At first, flying so close to mountains and glaciers was intimidating. I tried so hard not to close my eyes. As soon as I mustered up the courage to look outside, I couldn’t look away. The scenery was absolutely majestic. 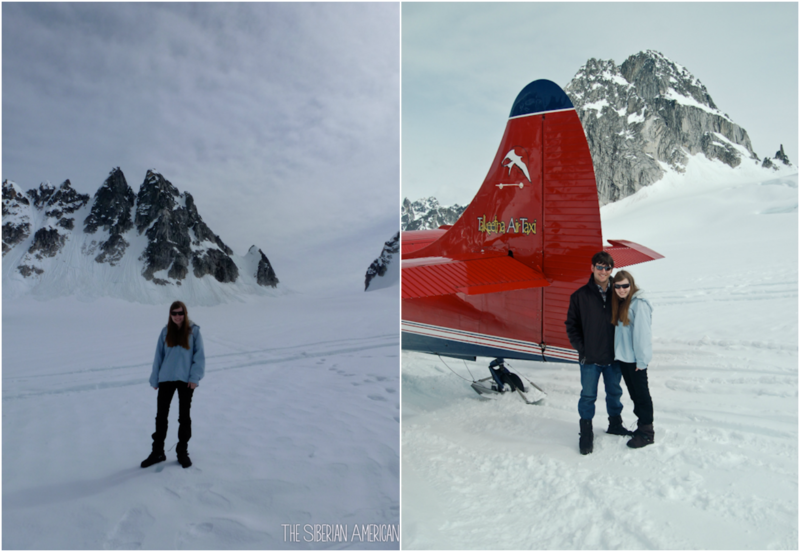 Landing on Pika Glacier was an incredible experience. Getting off the plane in our sunglasses and snowshoes to see beautiful untouched powdery snow for miles was breathtaking. We had so much fun waddling around with our snowshoes in the deep snow, throwing massive snowballs at each other, and feeling tiny surrounded by such a huge landscape. 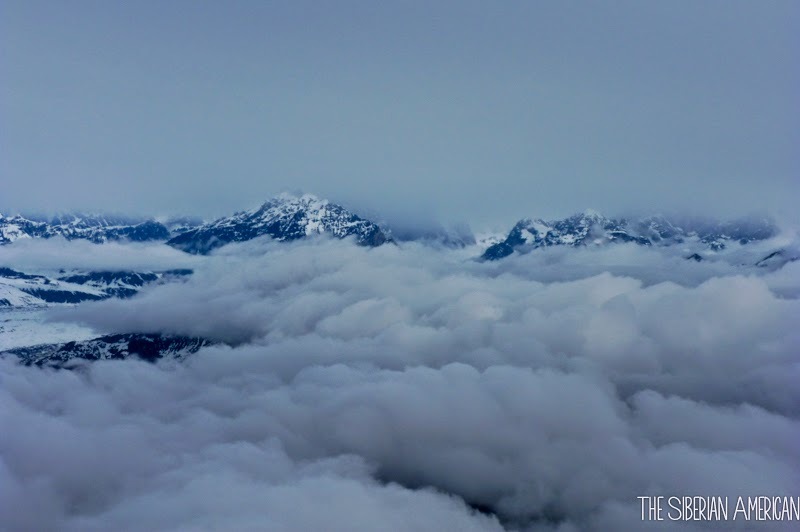 On the flight back, I absolutely loved taking in the beauty of the area. At that point, I was no longer scared and actually wished the flight would last longer. I never thought I would say this, but if I had the chance I would do it all over again. 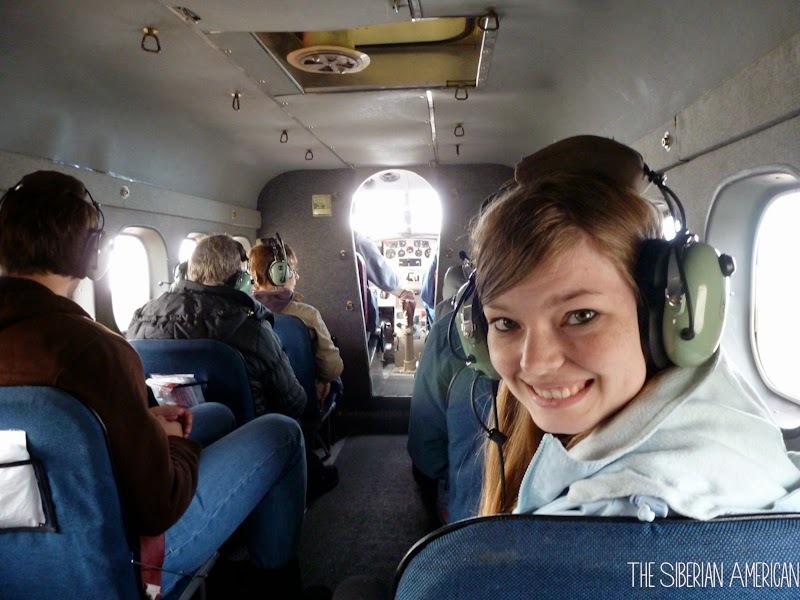 Has travel ever made you face your fears? Oh Friday, how I love you. Honestly, this week has been rough. I have a bunch of blog posts that I started, but I came home so drained that I couldn’t finish them. Oh well, it happens, and next week is a new week! As of today, Chris is officially done with interviews! 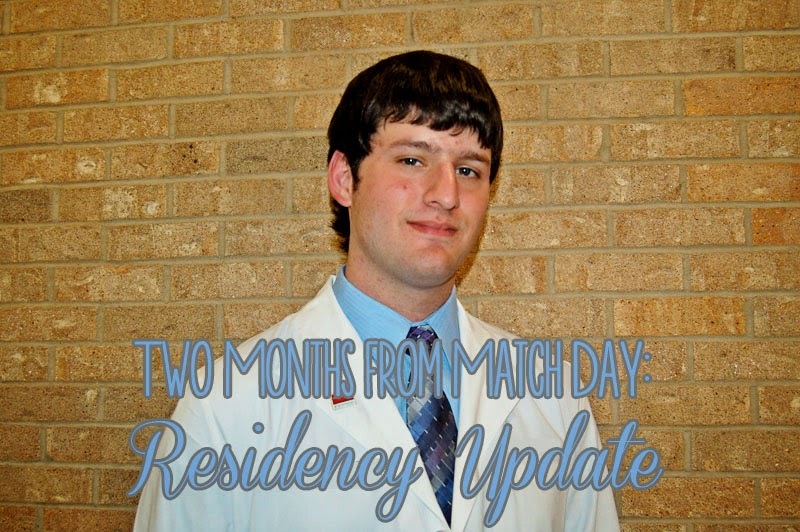 I wrote an update on residency on Tuesday, but I just want to say I’m so happy he is going to be around more often. Texas weather has been crazy this week—It was 70 on Sunday, and it snowed yesterday. It’s been all over the place, but I have actually enjoyed experiencing both winter and spring in one week. Our current thoughts for the hubby’s graduation trip is flying into Phoenix and doing a road trip to Sedona, Vegas (maybe Grand Canyon), Death Valley, San Diego, and Catalina Island. Nothing has been finalized, but we are super excited about this possibility. Today, I am a co-host for Fresh Face Friday with Casey! If you haven’t read her blog, it is full of amazing photos and stories from her time in Europe and beyond. Come link up with us and discover new blogs! PS-Have you entered the Ulta giveaway yet? Where did the time go? I feel like I was just writing my three months till Match Day update. It’s crazy to think that two months from now we will know where we are going to be for the next five years of our lives! Chris is now finished with all of his radiology interviews. He has one more internal medicine interview this week, and then he will be completely done. I am so glad that he is done with interview season. Even though he is about to start work at the hospital again, it is nice to know we are in the same state. I have had several people ask me why he had to interview at so many places. Radiology is considered a competitive specialty, and each residency program only has 4-12 spots. Residencies like internal medicine have 40 spots per program so people don’t have to interview at as many places. Now that interviews are done, it’s time for us to make our rank list. For some reason, I thought this part would be easy. That was before Chris fell in love with a program that I didn’t expect. I can’t even tell y’all how much I wish I could write out our top choices and the pros and cons of each place on here. It would be so nice to get opinions from people who aren’t affected by our decision. That being said, the match system is complicated (I explained it a little last month), so it might not matter what place we choose to rank number one. I am definitely feeling more stressed about the process than I was last month. We are both so ready to just know. Then, we can celebrate Chris being done with medical school and look forward to our next adventure! Since most of y'all are off today (I'm not, which is actually a good thing), I thought it was a good day to post a giveaway. Kate the Almost Great's sponsors are giving away money to Ulta, and I am excited to be part of it. I love stopping by Ulta to grab a nail polish or my favorite lip stain, and some spending money wouldn't hurt. Good luck, everyone! Want to participate in the future? Sponsor Kate the (Almost) Great. Ads go from $5-17 and last 30-60 days with a whole bunch of great stuff like participating in my monthly giveaway. Every Monday Elizabeth from Oak+Oats hosts a link up called Week's End! It is a place for you to link up your favorite post from the week and meet new bloggers. I love community and think that we can all learn something from each other! 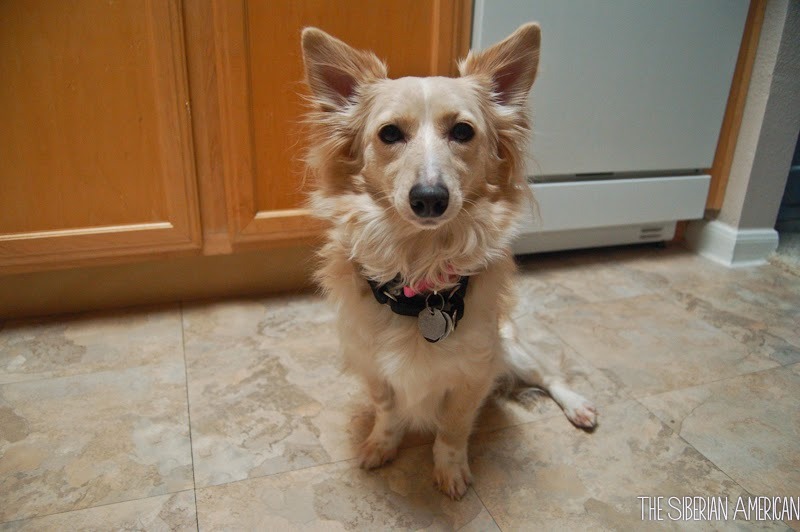 This week I am her co-host! ***If you are wanting to join the co-host line up, you can sign up here and use code: WEEKSEND for 25% off any Oak + Oats packages. I can be a bit frugal. The word “cheapskate” has slipped out of my husband’s mouth a time or two. I am all about saving money, especially since we are currently a single-income household. Even so, I don’t like time-consuming ways to save money. That’s why I love grocery apps. With these apps, all I have to do is take a photo of my receipt, and I get cash or rewards back. I like this grocery app because it gives me cash back on groceries without having to buy a certain brand. This app has a list of items that you can receive cash back on that changes weekly. The downside is that the list is small, and I usually only buy one or two items from the list a week. I like to use it because bananas are always on the list. With Receipt Hog, you can upload any grocery receipt to receive rewards, which you can spend on cash or Amazon gift cards. Receipt Hog is quick and easy to use, and I like that you don’t have purchase specific items to use it. The only negative of this app is it takes a long time to have enough points for a reward. Ibotta is great because you can get cash for purchasing items at many different stores, including clothing and electronics stores. It has a large amount of items available for cash back, and you can get bonuses for working as a team with your friends. The downside to this one is you have to do an action before getting your cash (such as “learn a fact” or “get a recipe”), so it takes longer. 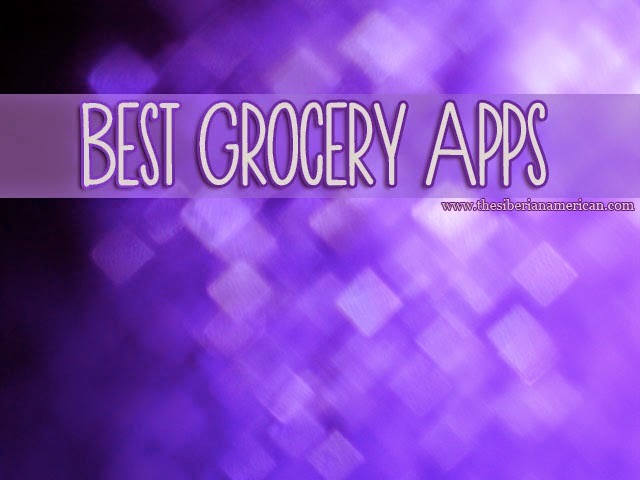 Do you use grocery apps? Do you have a favorite? 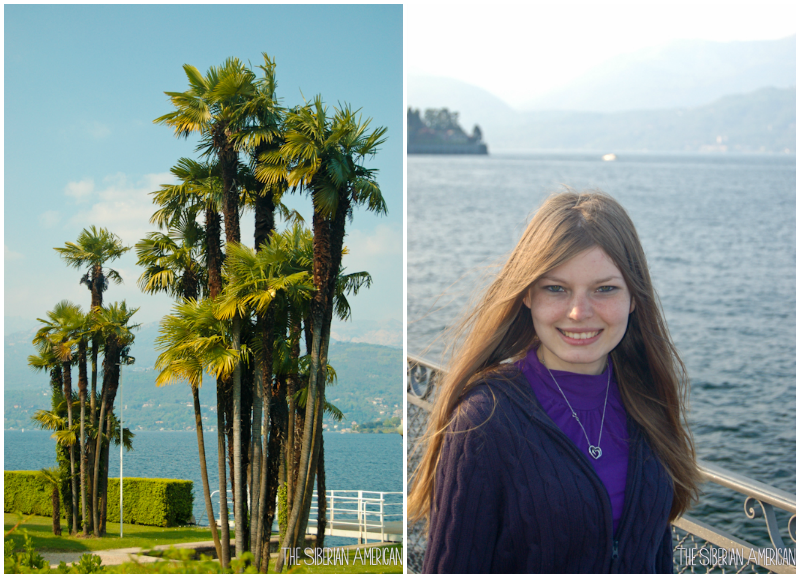 With the cold, icy weather outside, I can’t stop thinking about the beautiful day we spent in Stresa, Italy. 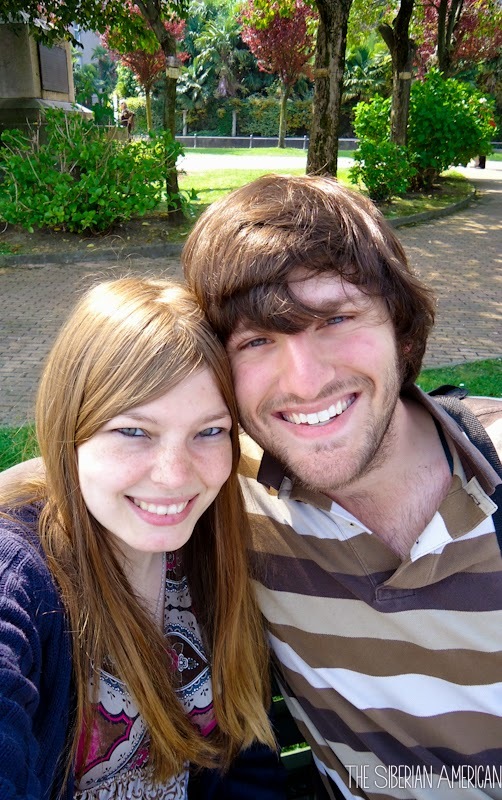 After two weeks exploring Milan, Florence, Venice, Rome, Naples, Capri, and Cinque Terre, all we wanted to do was relax. With islands to explore and gorgeous views of Lake Maggiore, we couldn’t have picked a better place to cap off our trip to Italy. The easiest way to get to Stresa is by train. Stresa is only an hour away from Milan, so we took a train to Milan and hopped on a regional train to get to Stresa. 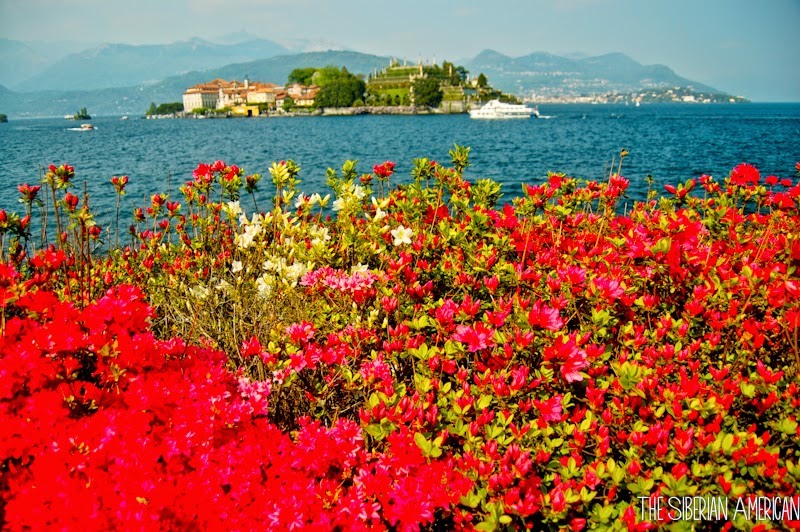 You can also get to Stresa from Switzerland. Trains run daily from Geneva to Milan with a stop in Stresa. As soon as we got off the train, I was eager to explore the area around the lake, luggage and all. Thank goodness for my more practical hubby, who convinced me to drop off our luggage at our hotel before heading to the lakeside promenade. 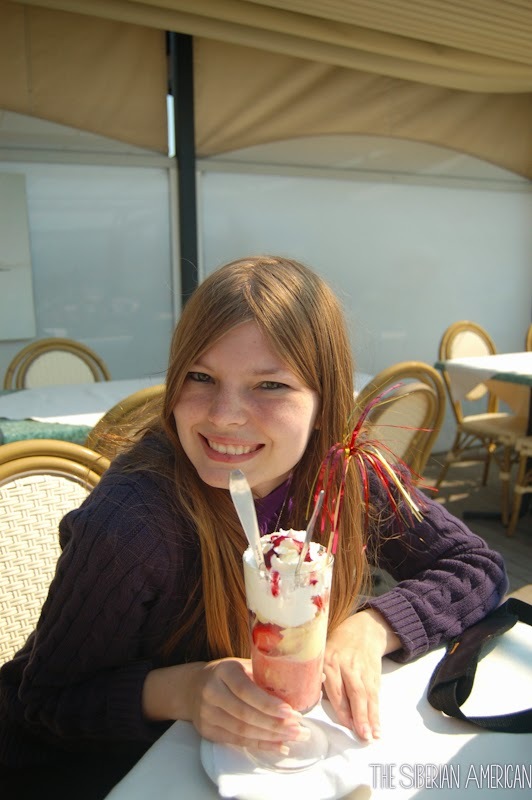 The promenade was lined with palm trees and flowers, with plenty of gelato stands and park benches! After we enjoyed the park and ate way too much gelato (is there really such a thing as too much gelato? 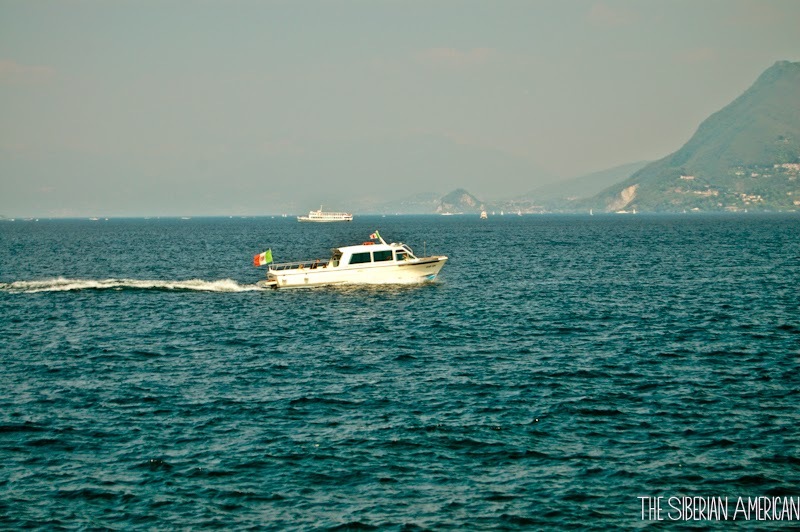 ), we took a ferry from Stresa Lido to the Borromean Islands. 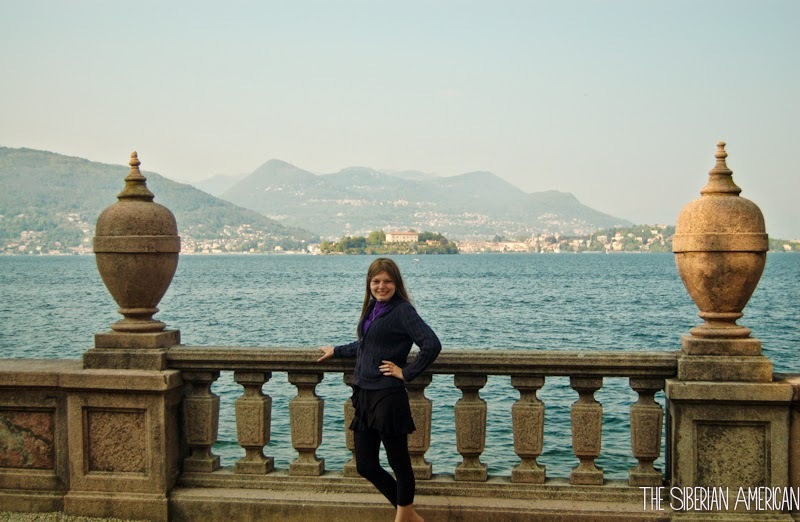 Isola Bella and Isola Pescatori were by far my favorite parts of our time in Stresa. Isola Bella definitely lives up to its name of “beautiful island.” The island, known for Borromeo Palace and its beautiful gardens, was absolutely gorgeous. We explored the gardens and visited the street vendors. There, I picked up one of my favorite souvenirs from the trip, a potholder with my name embroidered on it. 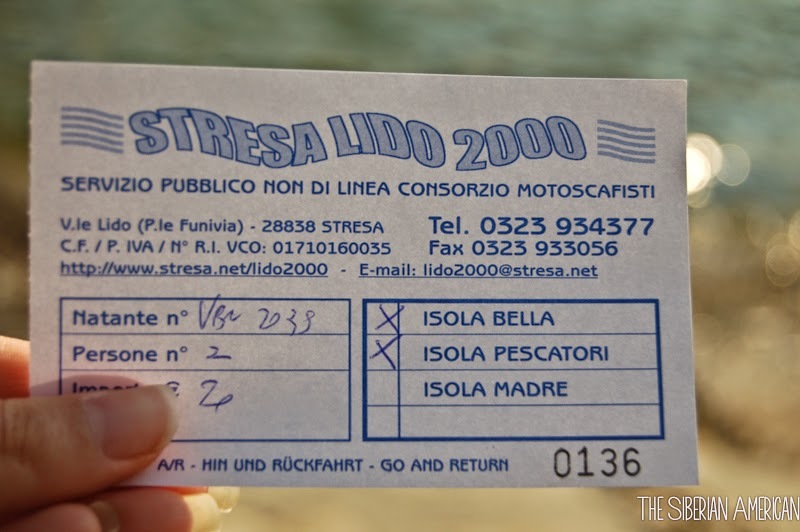 After Isola Bella, we took the ferry to Isola Pescatori, a small fishing village filled with markets that sell everything from gelato to ceramics. Isola Pescatori is known for its delicious fish, so we decided to split a fish dish (and a giant gelato sundae) on the terrace of a restaurant as we watched the sun set over Lake Maggiore. After weeks of running from one attraction to another, it was lovely to sit back and take in the beauty of Italy. 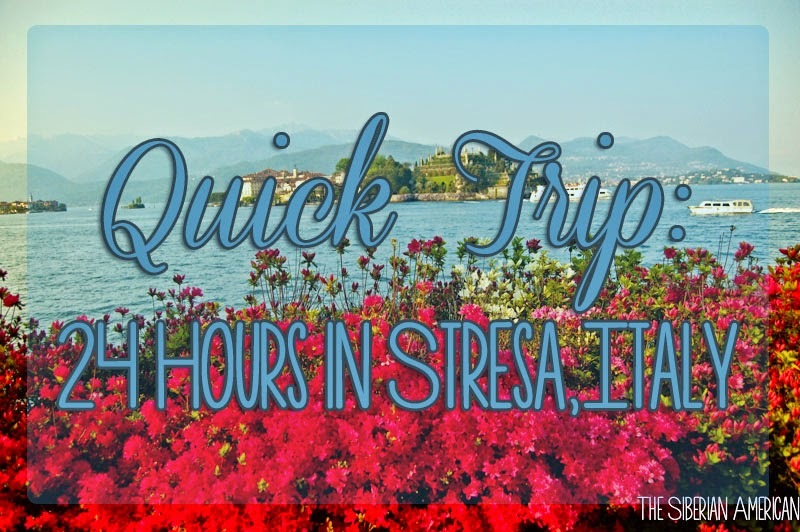 We arrived in Stresa in the afternoon, so the next day we explored the city (a walking tour can be found here), went shopping (I got a hand-painted bowl from a local artist), and spent more time by the lake before leaving for our next destination. 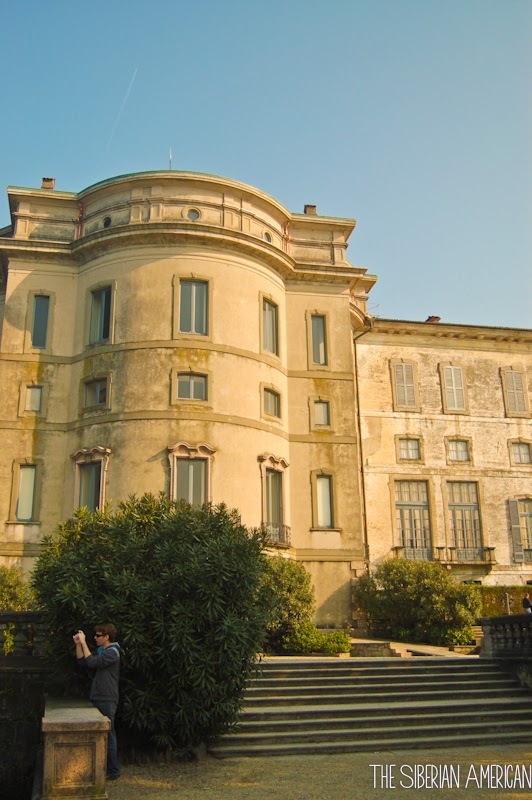 If we had more time in the area, we would have visited some of the other towns along Lake Maggiore, such as Baveno, Pallanza, Cannobio, and Ascona. I would also love to take the Lake Maggiore Express, a train that takes you through the many villages and valleys of Lake Maggiore. We stayed at the Hotel Meeting, which was a nice, basic hotel with a free continental breakfast in a central location: a 10-minute walk from both the train station and Lake Maggiore. We also had dinner at the hotel for a fixed price. My dinner was bacon pasta, trout, and tiramisu, and I thought it tasted good for the price we paid. This is the last month of interviews for Chris. He is coming home from an interview tonight (at least I hope so. Yesterday, his plane had a fuel leak, and he was stuck at airports for 20 hours, which caused him to miss the resident dinner). He only has three more interviews left, and we are so ready for the next step. I did the ABC Book Challenge in 2013 and really enjoyed it so I decided to do it again. The challenge is simple—read a book with a title that starts with every letter of the alphabet, eliminating A/An/The. In 2013, I picked books as I went, but I might actually put together a list this time. I had a hard time finding a book that starts with an “X,” so it helps to start that early. I participated in some fun Christmas exchanges this year! My gifts from Christina from Route Bliss for the Great Christmas Exchange were so sweet. I squealed when I saw that adorable owl mug. 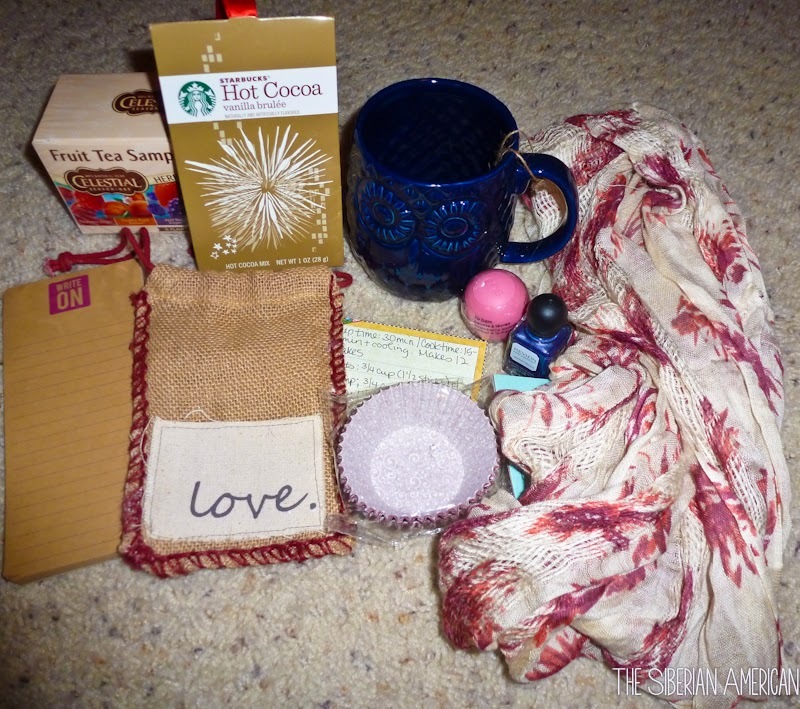 The package also included a beautiful scarf, vanilla brulee Starbucks hot chocolate, purple nail polish, fruity tea, mini love bag, cupcake baking cups with several great cupcake recipe cards, notepad, and EOS lip balm. 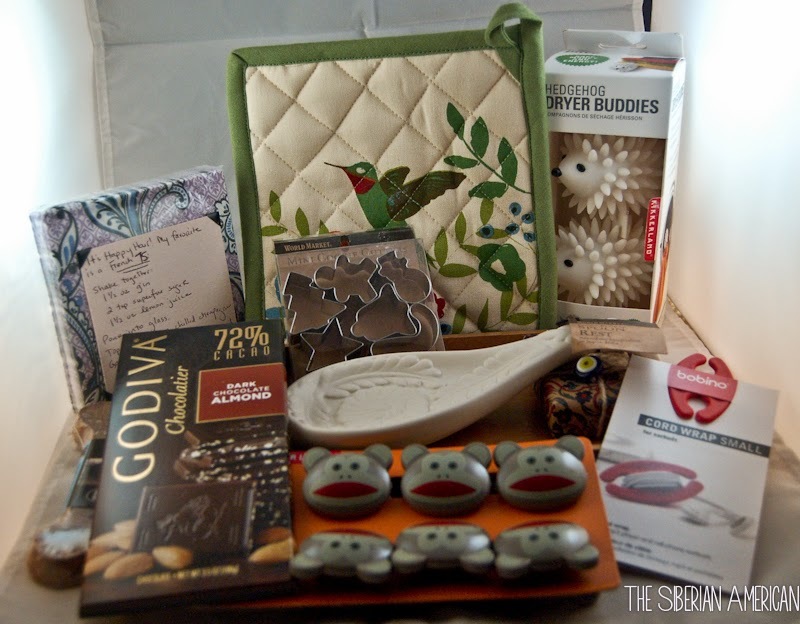 Thank you so much for the great package, Christina! I have been trying to plan a graduation trip for Chris. I am not sure what will work logistically yet, but I have some days off I need to use, so I am looking into several options. Nothing gets me more excited than planning a trip. I am currently reading The Secret Life of Violet Grant, and it’s great so far. It’s a historical fiction in a past-present format where the present character Vivian (though the present is actually the 1960s) finds out she has a great aunt who murdered her husband and ran away with her lover, and no one has heard from her in years. I really love Vivian’s quirky voice, and Violet’s story is intriguing. I am only 20 percent through so I can’t officially recommend it, but it’s the kind of book I think about throughout the day. Linking up with Amanda, Karli, Amy, and the new High Five for Friday girls. 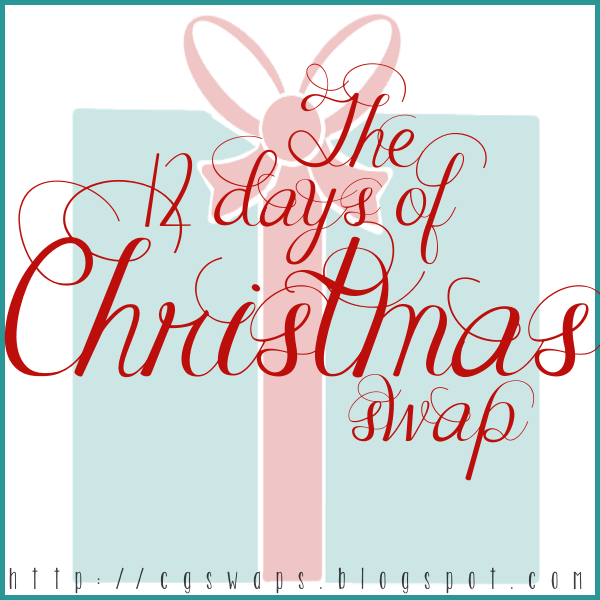 Christmas is the perfect time of year to participate in swaps, and the 12 Days of Christmas swap CG Swaps hosted was so much fun! I was partnered with Mary Beth, and I sent her some of my favorite makeup items. She sent me a wonderful “for the home” package. Everything was so adorable, and she was so thoughtful, even sending a bone for my pup! Hello, friends! I am back from our New Year’s Caribbean cruise and can’t wait to tell y’all all about it. I loved our shore excursions and spending time with my love and his family. It was so nice (and super hard) to get away for a week without being able to turn on my phone, but I really missed blogging. We had to break my vacation rule and get off the ship the day before I had to go back to work so getting back into a routine has been a bit tough. Then, we were on our way to pick up Skyler when the hubby’s car started shaking, and the check engine light came on. 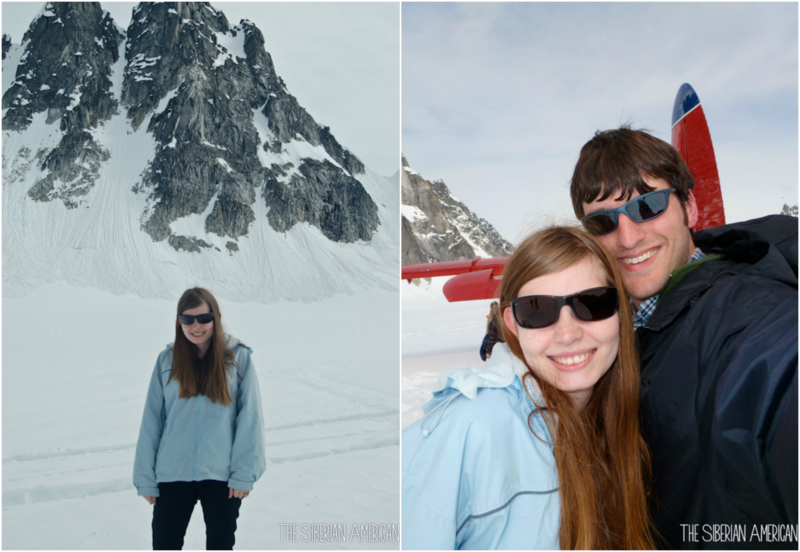 Welcome back to reality, Chris and Olya. Even so, I have a feeling 2015 is going to be a great year, and I can’t wait to find out where we are moving. 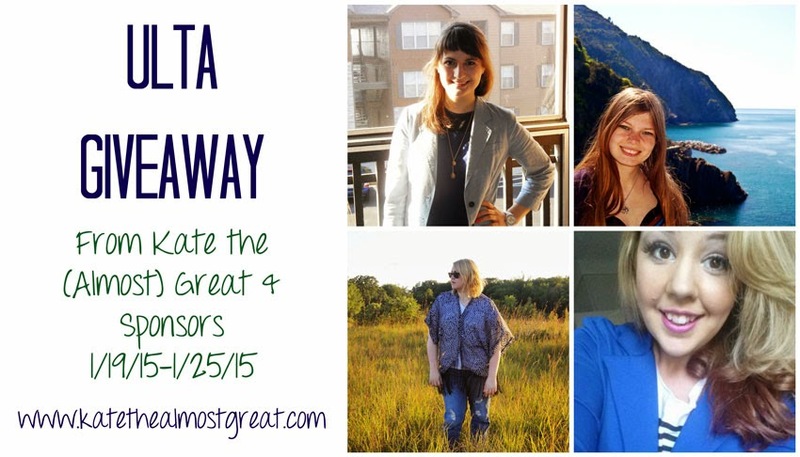 Speaking of 2015, I joined a great giveaway with $150 to start 2015 off right! There is one more day left so now is the time to enter.